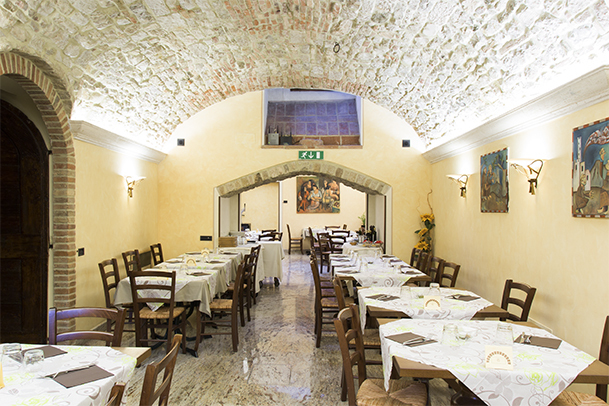 The “Cisterne Pizza & Restaurant” is right in the centre of Todi in Jacopone Square. Excellent Umbrian dishes and Pizza baked in a wood oven are served at Le Cisterne Pizza & Restaurant. 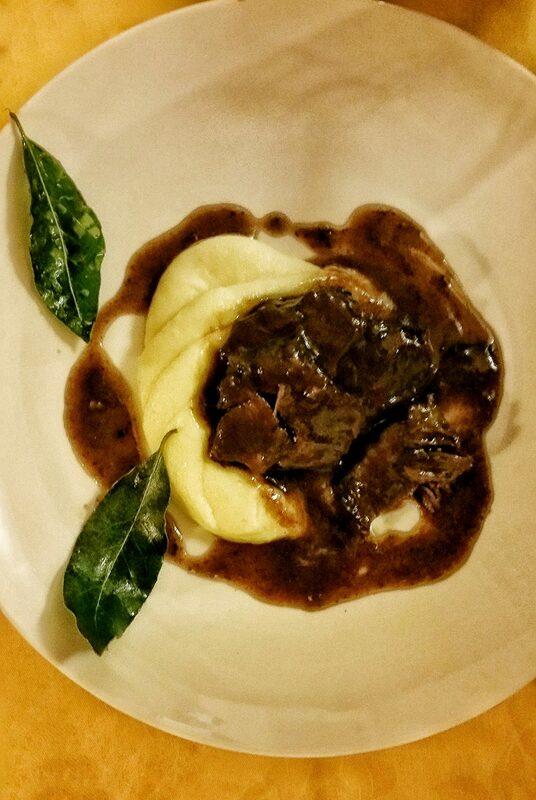 Our cuisine is genuine, characterized by the best dishes of Italian cuisine and our typical Umbrian dishes. 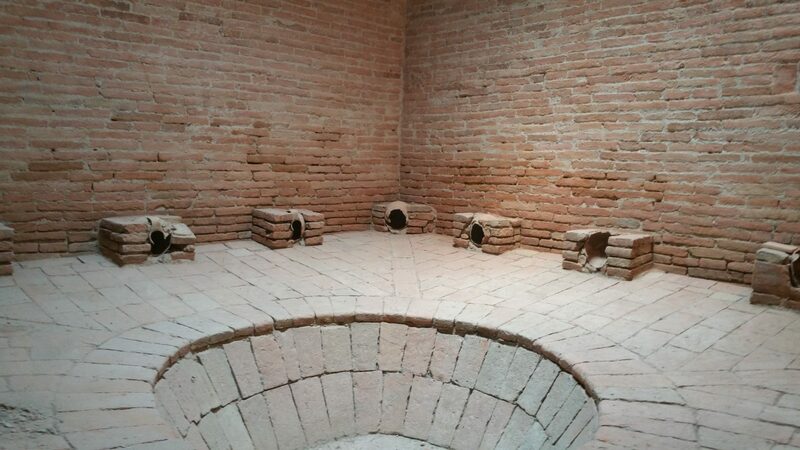 The dining room has been carved out of a wine cellar; ancient cisterns and wells are still well preserved and visible inside the restaurant room. You can find in our Menu gluten free dishes, vegetarian and vegan dishes. 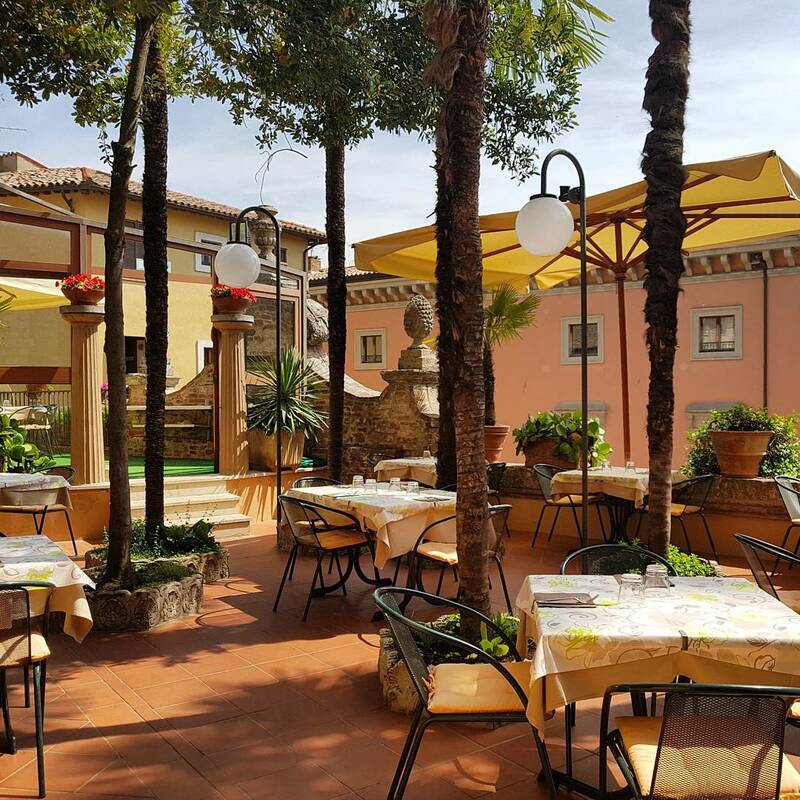 The elegant and refined Restaurant “Le Palme” is the perfect location for your most important moments and for your business dinners and business meetings. 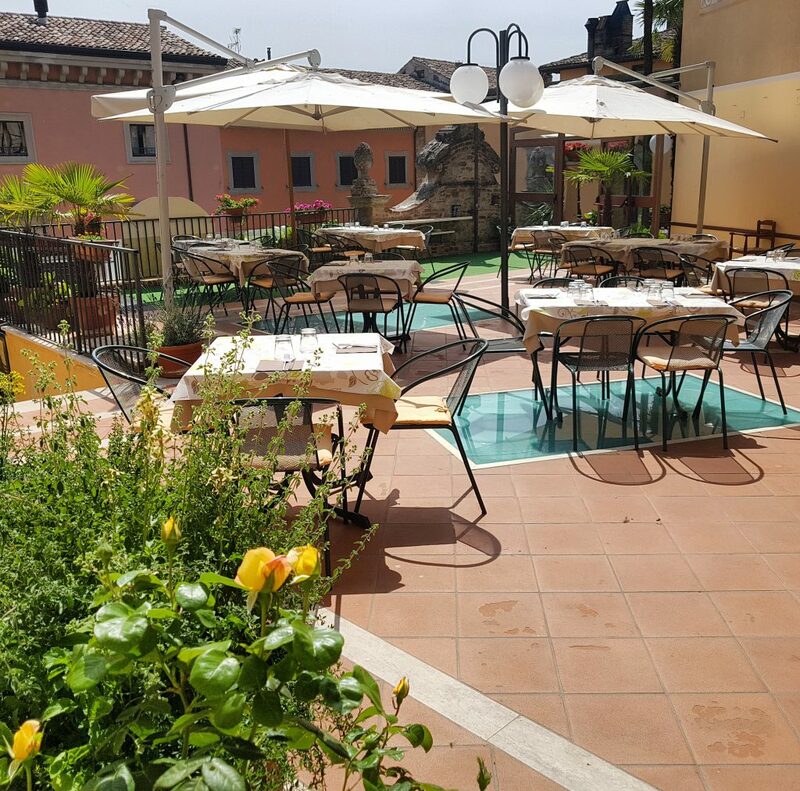 Being in the heart of Todi Le Cisterne Pizza & Restaurant is also suitable for groups Stop- lunches, with tailored menu for any budget. 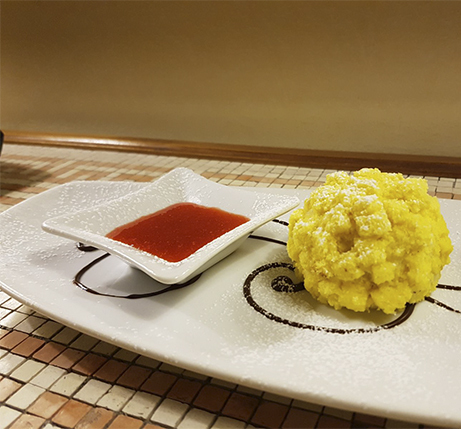 We offer you a range of delicious Umbrian dishes. 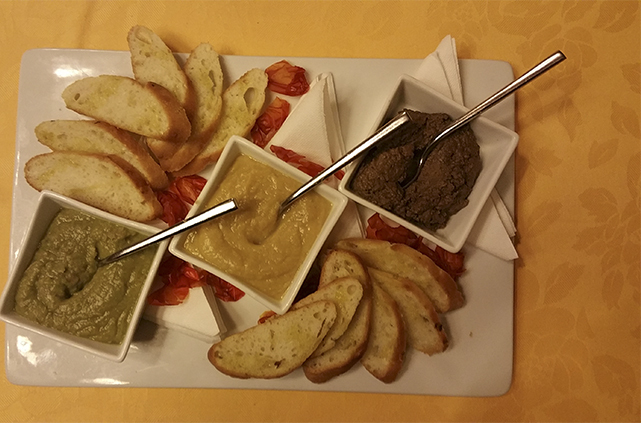 The restaurant offers a wide range of appetizers, such as cheeses and cold meats, home made pâtés, soufflé, fried and spelt salad. 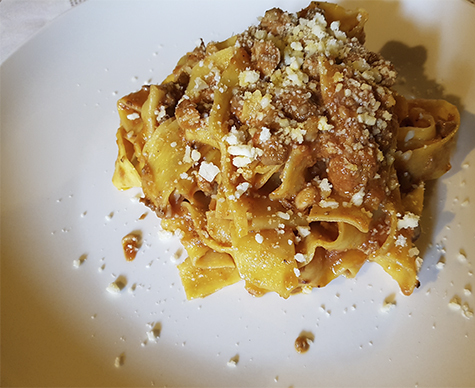 For the first courses we respect the Umbrian tradition with typical dishes such as stringozzi with asparagus, soups, risotto with porcini mushrooms, Norcina’s style pennette, pappardelle with game sauce , strigoli and gnocchetti. Our meats come from controlled farms that guarantee an excellent quality. 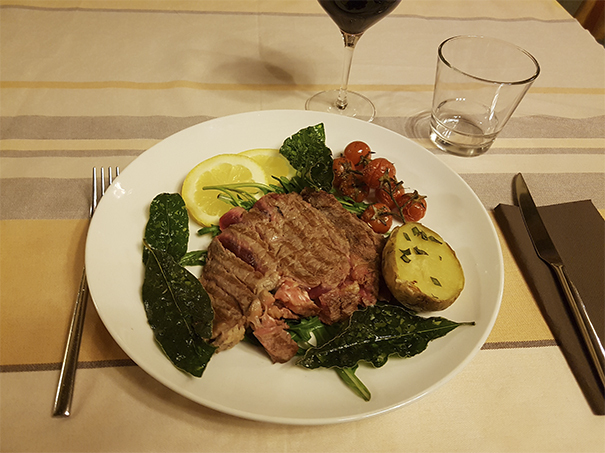 You can enjoy an excellent braised wild boar, lamb chops, veal, mixed grilled meats, pork and Angus “tagliata”. 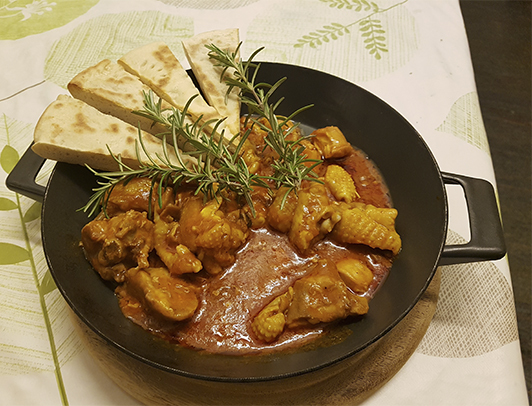 We offer obviously also vegetarian or vegan dishes and we can offer also gluten free meals. 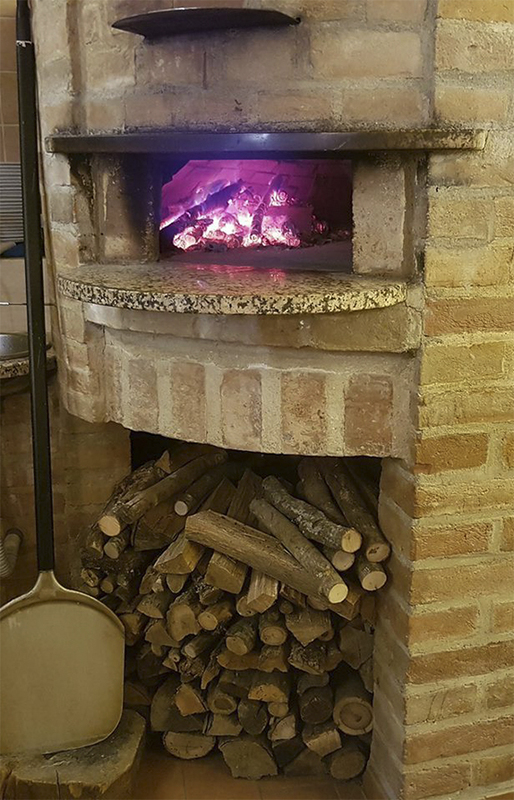 Our pizzas are cooked in the wood-burning oven to ensure a perfect baking and crunchiness. 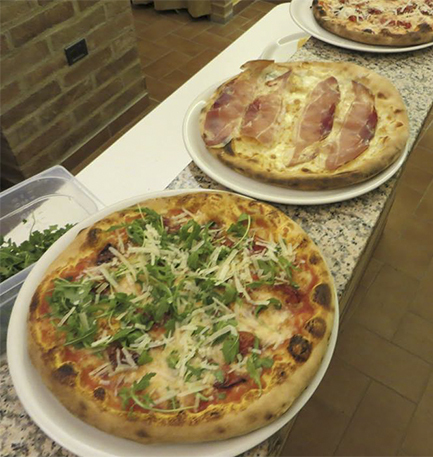 In addition to the timeless classical pizzas such as Margherita, Marinara, Napoletana, Capricciosa, Boscaiola, 4 Cheeses and 4 Seasons, you can enjoy our specialties like Bomb, Francescana, Gustosa, Anna, Estiva and Delicata. 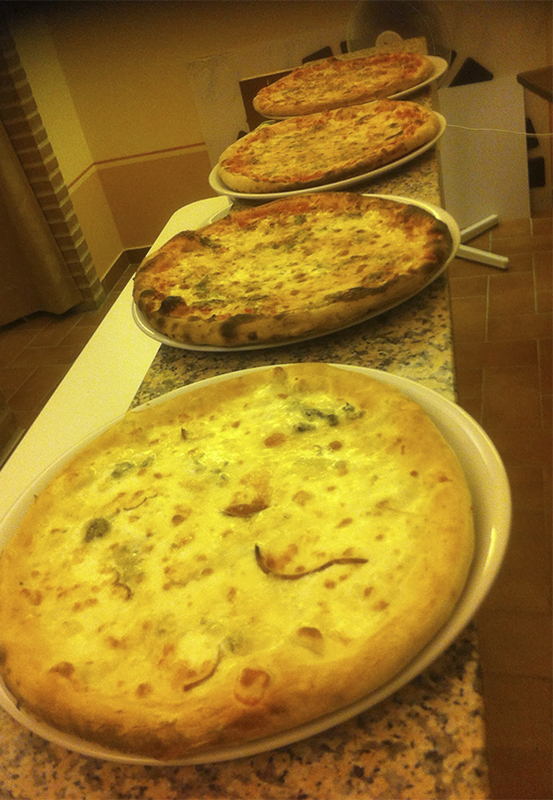 Find out all the pizzas in our menu. Tomatoe, mozzazella , tuna, onions, pepper and zucchini. Do not hesitate to contact us for quotation and Menu. 12:30 – 3:00p.m. / 7:30 – 10:00 p.m.